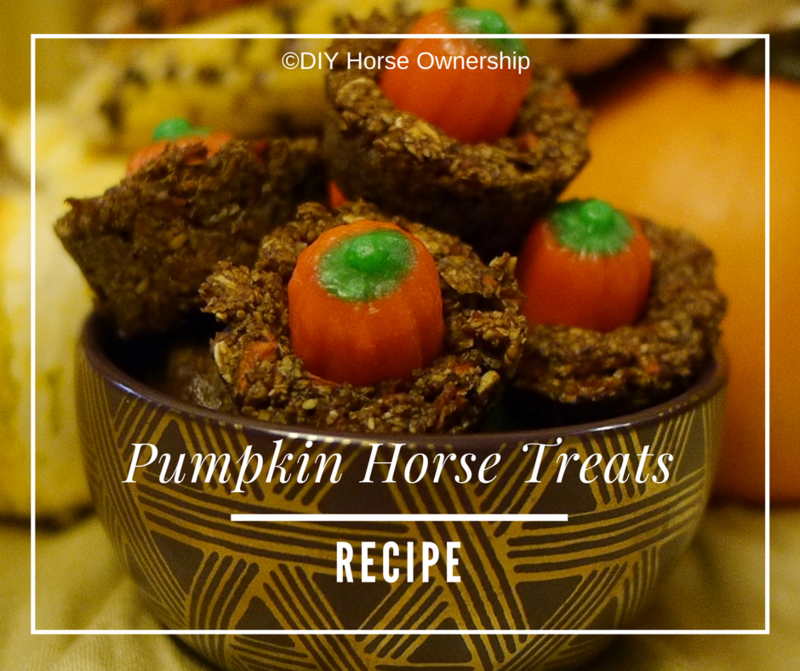 These pumpkin horse treats are amazing. My horses were begging for them. Even Eugene who won’t eat apples and examines every new treat with a hefty does of skepticism gobbled these up. 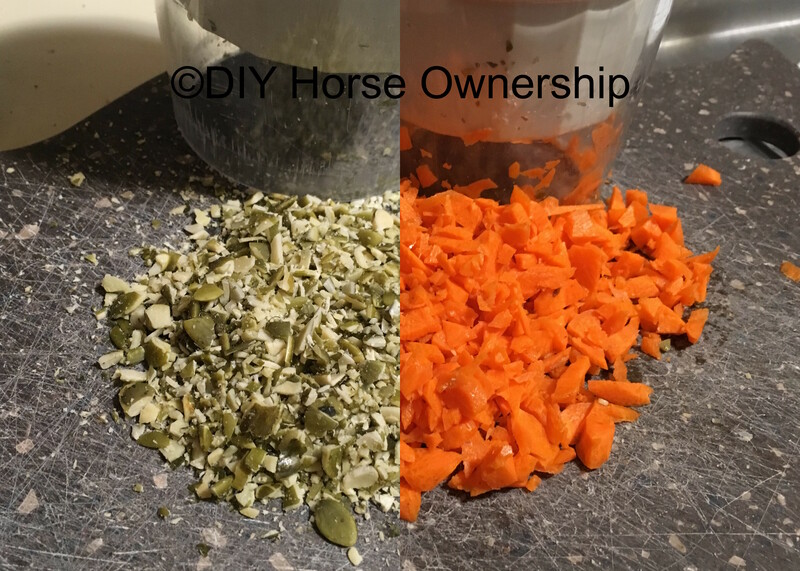 Chop your pumpkin seeds and carrots. You can also buy pre-shredded carrots. 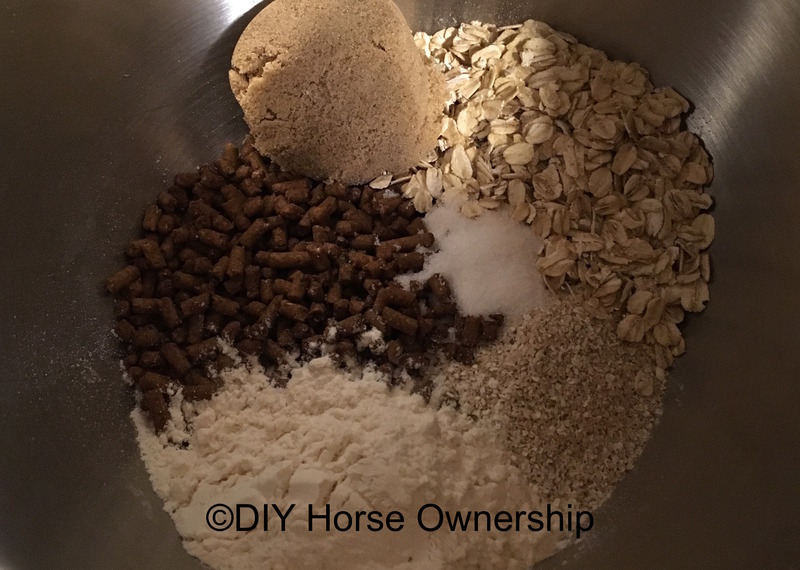 Mix your dry ingredients in your stand mixer. Spoon your mixture into your mini muffin pans. 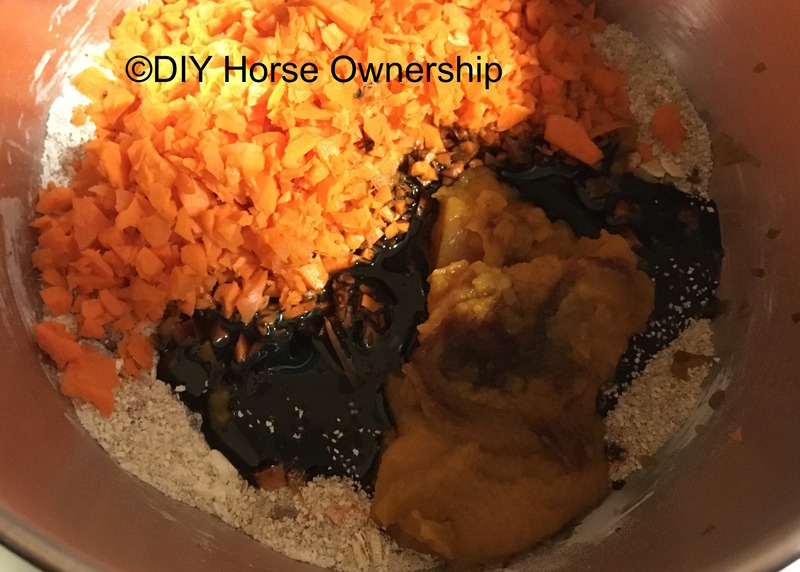 The mixture will not rise so you can fill each muffin bowl to even. 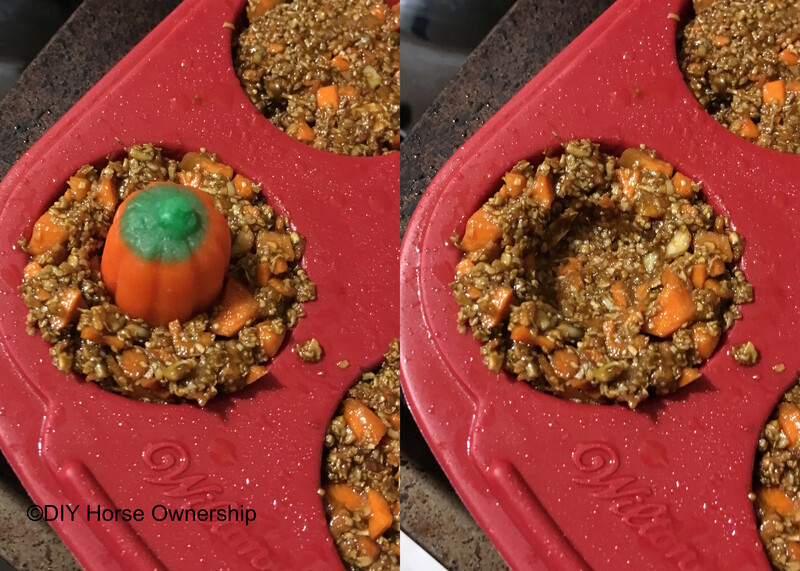 Push a pumpkin candy into the center of each muffin and pull it back out leaving an indentation. Use one candy to do all of the muffins. Bake for 50 minutes. 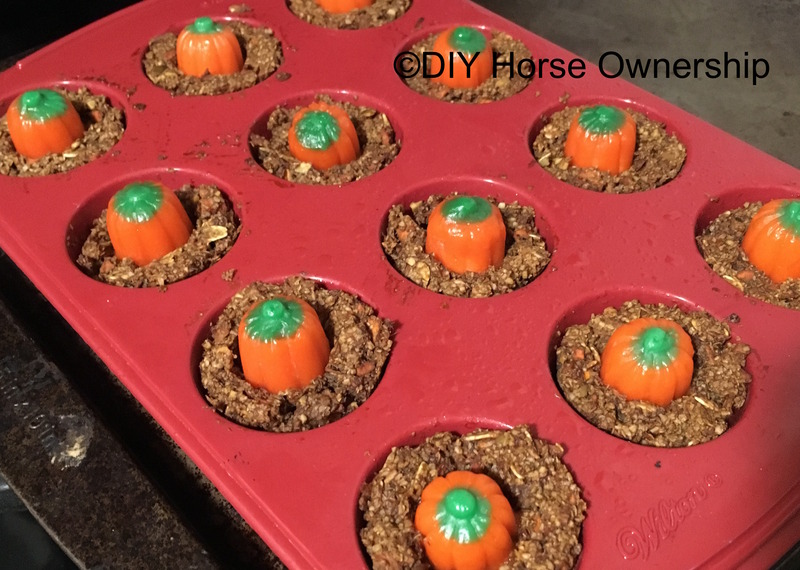 Remove from the oven and add the pumpkins into the indentations. Bake for 5 more minutes. 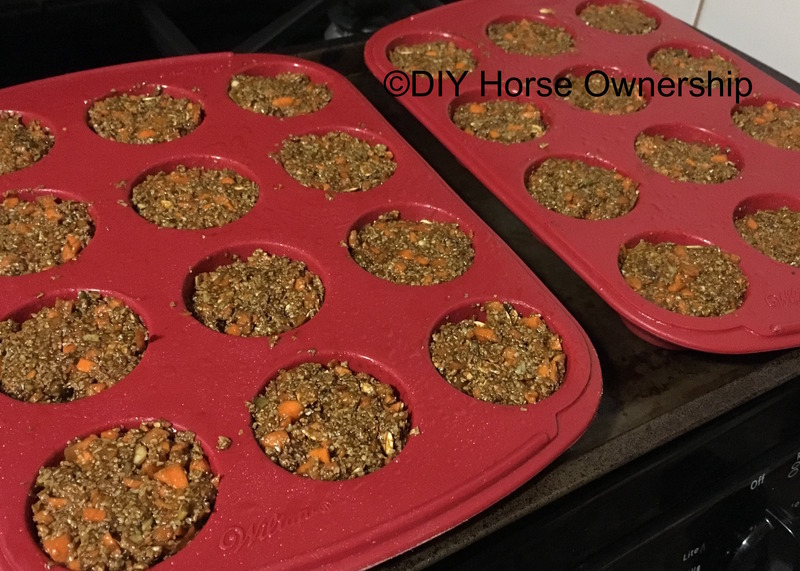 Then let cool in the muffin tin for 10+ minutes before you turn them out of the tins onto a cooling rack to completely cool. The candies will be melted enough to make them combine with the treats. If you try to add them after baking, they just fall out. Store in a sealed container. Makes about 3 dozen. If you remove the sweet feed, they’d probably be pretty good. Definitely making these next weekend! 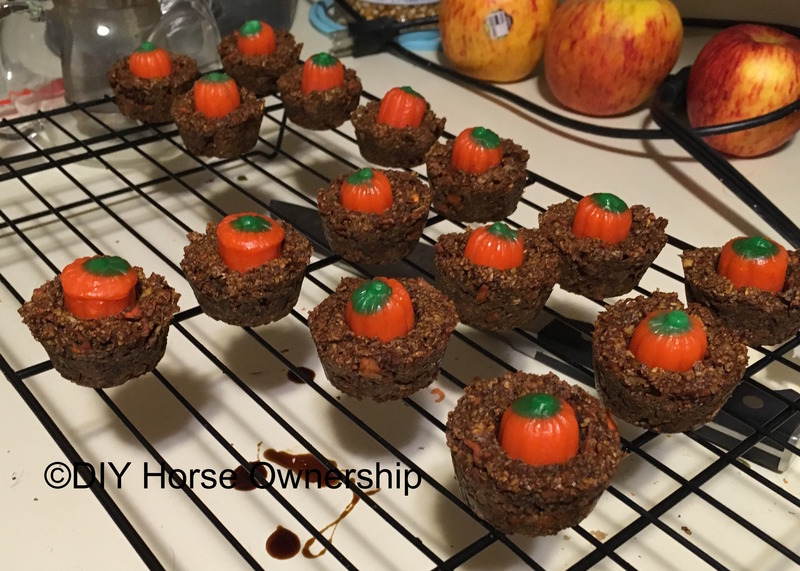 Harley will love these and my friend’s pony’s favorite treat is candy corn so he will enjoy them too. Thanks for posting the recipe! I was surprised that they liked the candy corn so much too. I wonder if miss picky pants would eat these. I just may try it! 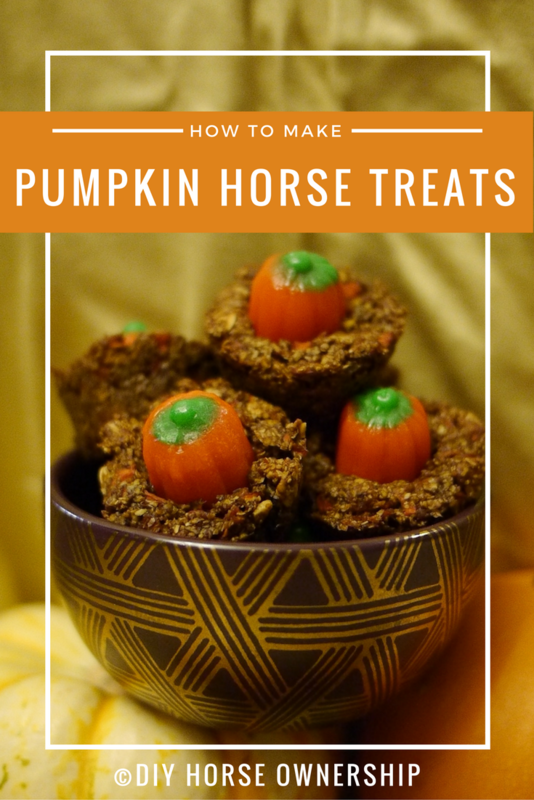 My picky horse ate them, so you might as well try. These are so cute! Might have to make some for our barn celebration if I have time. These are perfect for a barn party. 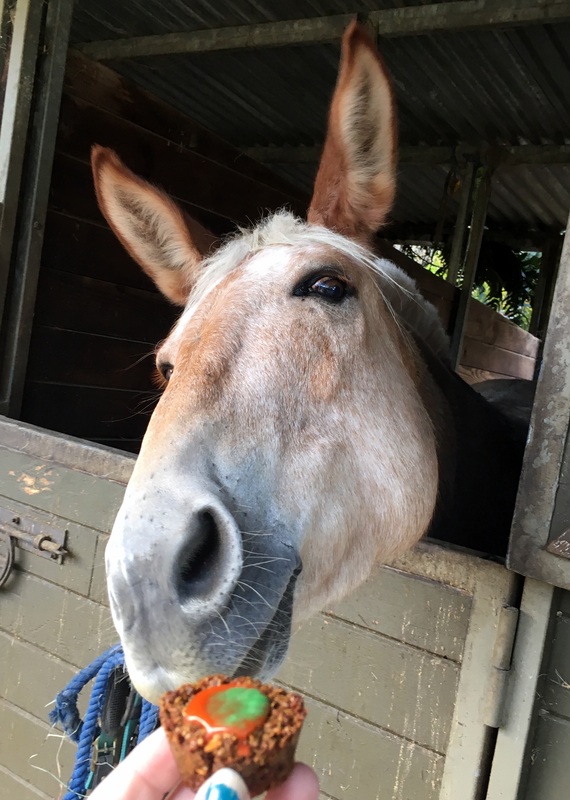 I read that you can give them a whole (very small) pumpkin and they can eat it seeds and all. Some people tie them up like those horse treats balls so they’re a treat and a toy. I have never actually tried this though. They’re really easy. 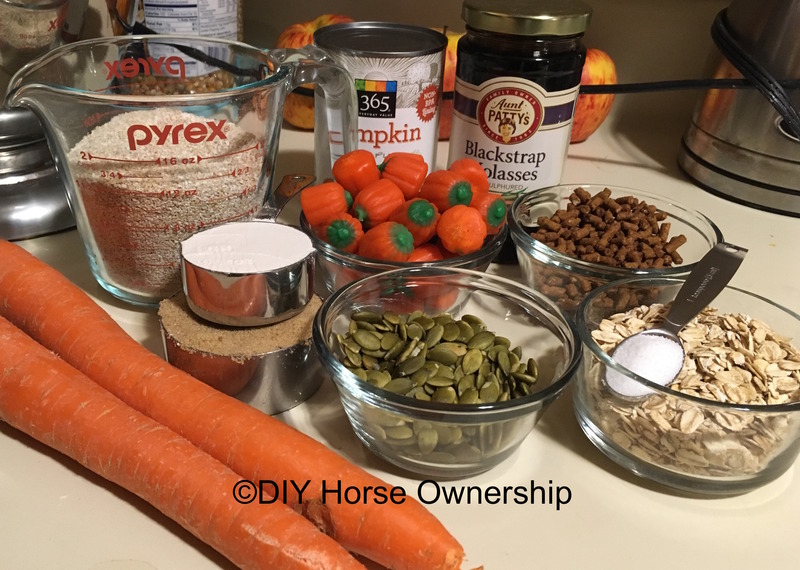 Even if they don’t look perfect, your horses will like them. Mine loved the rejects just as much as the final versions. I kinda just want to make these for myself.